My old workbench was a small metal cabinet with particleboard on top, and it gave me no room to do many projects at all. 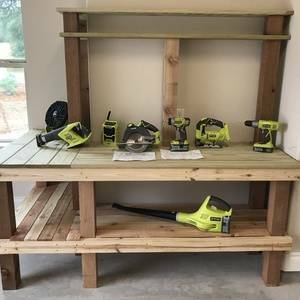 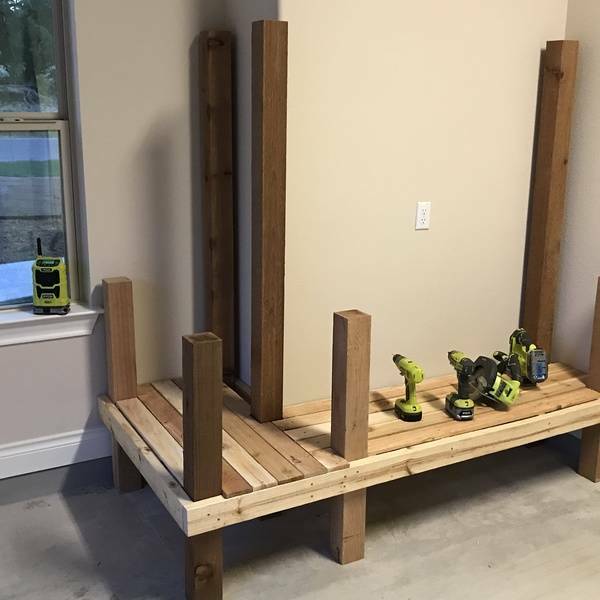 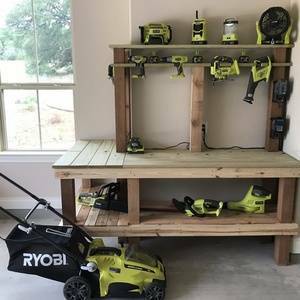 I vowed that when we moved into our new home, that I would build my own work bench with plenty of space and plenty of room to hang all of the Ryobi tools that I had acquired over the years. 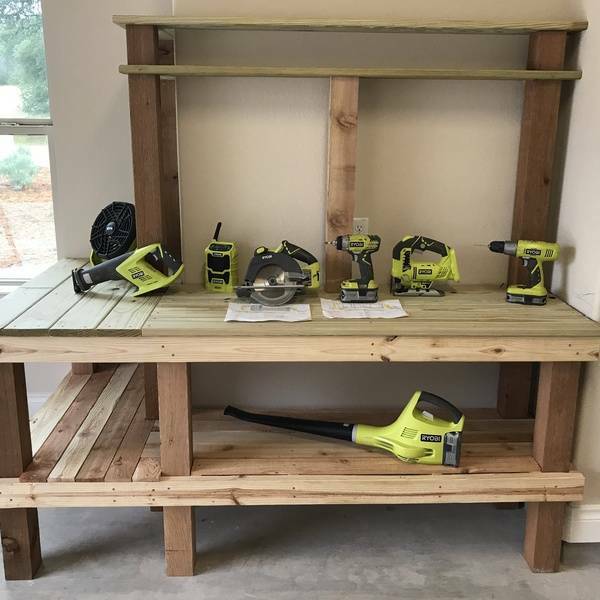 Those tools have become a blessing as we take high school kids on a mission trip every summer and build wheelchair ramps for the needy. 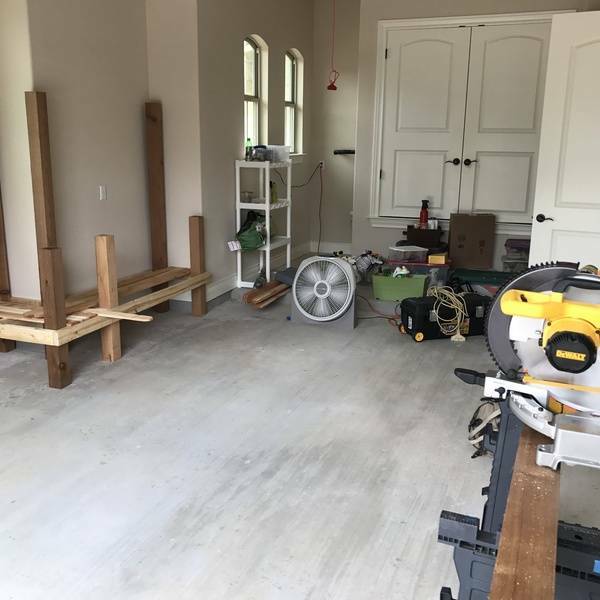 What a great feeling! What a great setup! 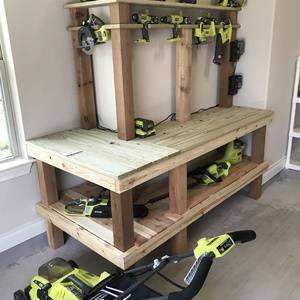 Looks like you have a great workspace but also a great place to store your tools!